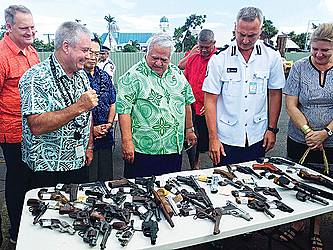 Police Commissioner Fuiavailili Egon Keil has lamented the inability of local law enforcement agencies to stop gun smuggling. Speaking at a ceremony yesterday to witness the destruction of 285 illegal firearms, the country’s top cop said the cache of weapons included AK-47 submachine guns and hand guns, which points to the various agencies not doing their jobs. “A lot of these guns here are not made in Samoa. 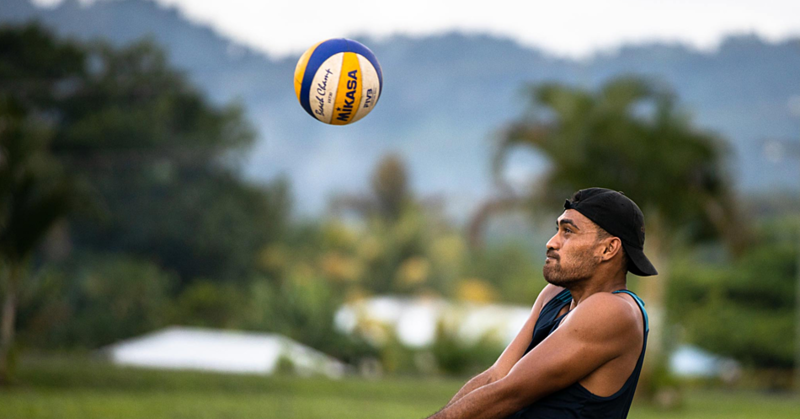 We don’t make bullets as well or ammunitions, but these guns somehow find their way into our island and it’s not just Samoa, it’s other islands as well,” he said at the ceremony, where Prime Minister Tuilaepa Sa’ilele Malielegaoi and members of the diplomatic corps were invited. He said the firearms would be dumped in the ocean after they are destroyed, but borders agencies Immigration and Customs have to partner with the Police to ensure illegal guns are not brought in. According to Fuiavailili, only the 12-gauge shotgun, the .22 rifle and the PP (Perfect Power) gun can be legally used in Samoa. And only the minister for police can authorize the use of these weapons in the country. The destroyed weapons have been collected by the police over the last five years with the Fuiavailili indicating that there was no more space in the police-owned armory. Making reference to his position as the chair for the Transnational Crime Network in the region, the police commissioner said firearms, narcotics, human trafficking and illegal fishing are priorities for the regional law enforcement body. He acknowledged the support of Australia to get two aircrafts based in Samoa and Vanuatu to conduct maritime surveillance. They will compliment the work of the Samoan police patrol boat Nafanua, which will patrol the country’s exclusive economic zone.